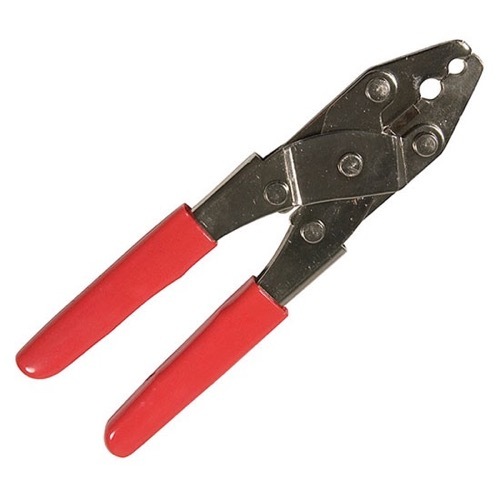 This coax crimper is great to attach "F" style connectors to RG59 or RG6 coaxial cable. Nickel-plated for high durability and long life. Long 8" cushioned handles designed to give you high leverage for tighter crimps. Cutting tool to cut your coax and cable.